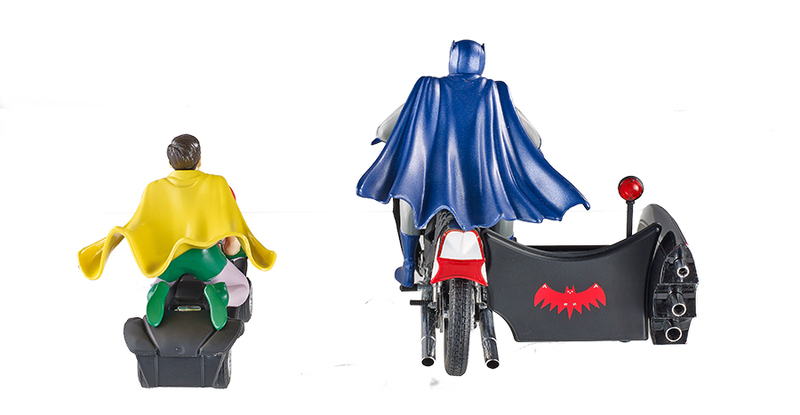 Here comes the classic Caped Crusader and the Boy Wonder zooming into your collection as they sit in their Batcycle. 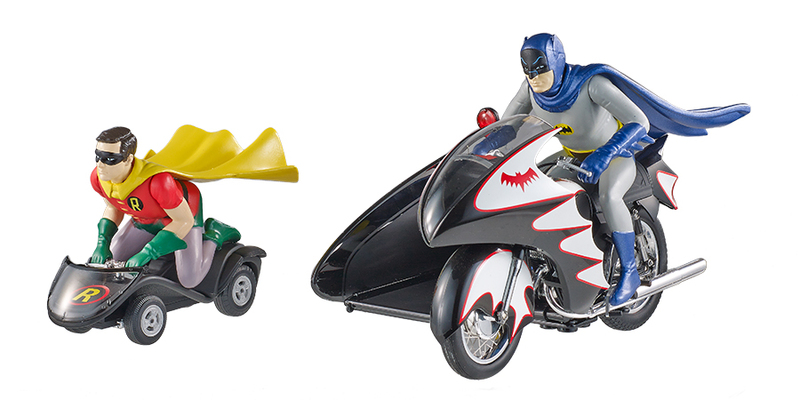 If you’re a fan of the classic Adam West and Burt Ward Batman 1966 TV series, then you’ll love this replica of the crime fighting three-wheeler. 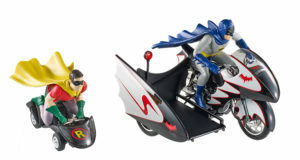 It comes with non-articulated and non-removable Batman and Robin figures. This 1:12 scale die-cast motorcycle features an opening hood that reveals the detailed engine. 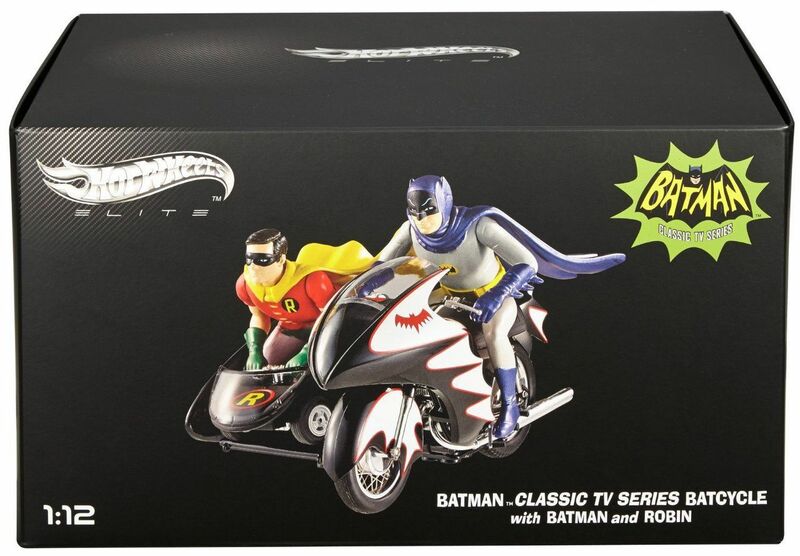 A must have for all Batman Collectors! This fan-favorite is inspired by the popular 60’s television show “BATMAN”, which featured unusual and exciting vehicles used in pursuit of Batman’s vast rogues gallery of villains. 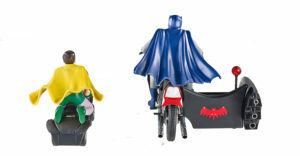 Tying in with the extreme popularity of sportcycles, Batman inevitably utilized his own sportcycle–the BATCYCLE–in his efforts to thwart the forces of evil. 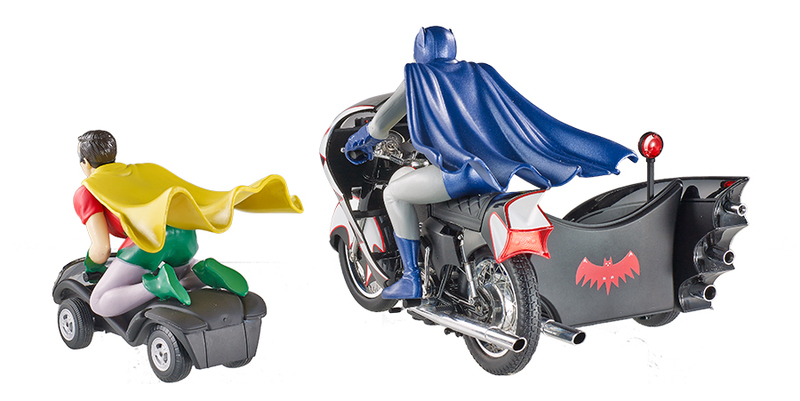 This version of the Batcycle is a true showpiece. 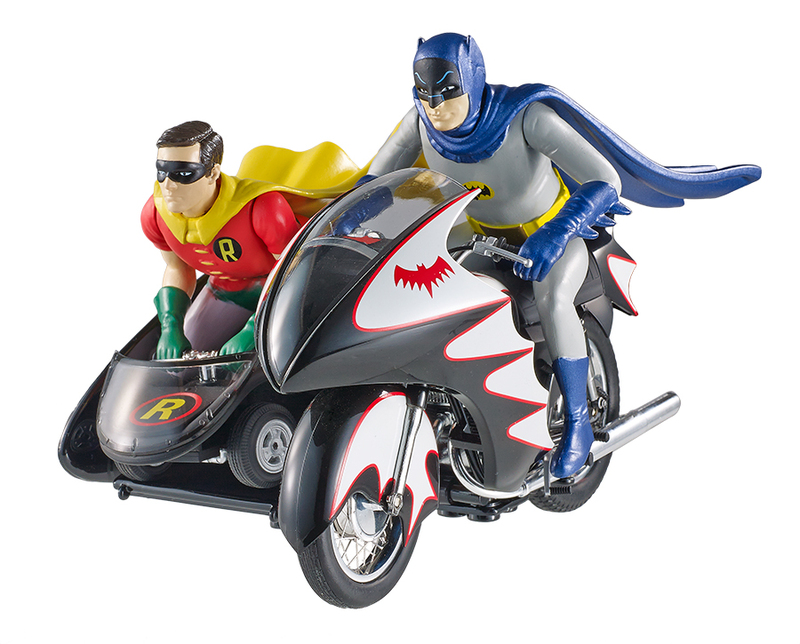 Built from a Yamaha Catalina (YDS-3) 250, it features an iconic sidecar equipped with a portable go-cart for Batman`s young sidekick, Robin. As the Batcycle slows or comes to a stop, Robin is able to launch his go-cart from the sidecar and become mobile in his own right. 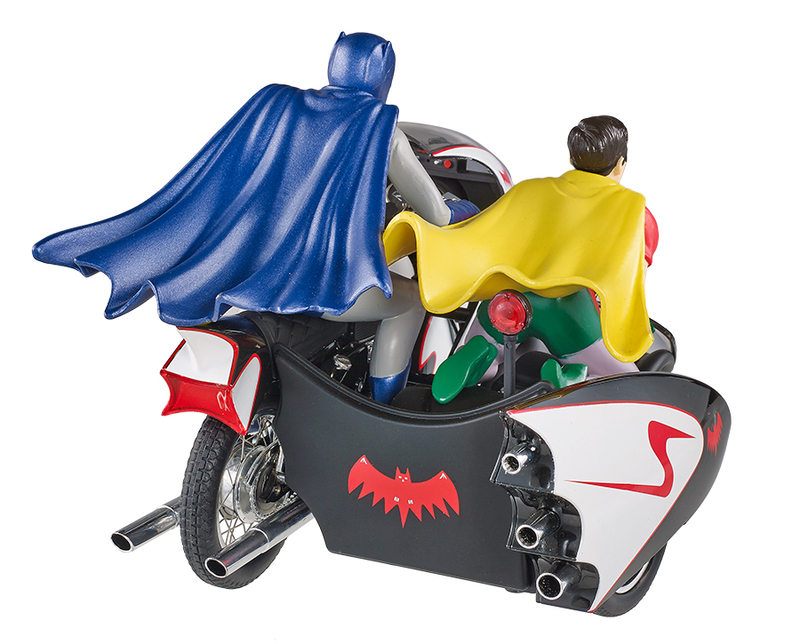 The entire Batcycle and sidecar are customized in black and white with a “Bat-Shield” molded into the fairing and fender guard. 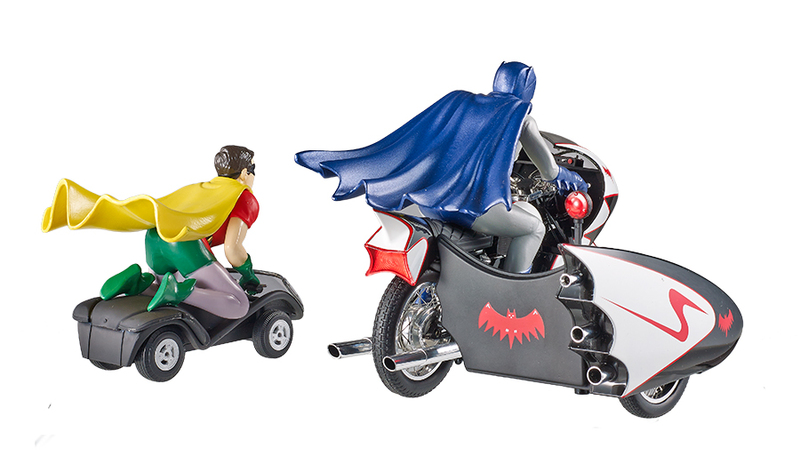 The Batcycle is a uniquely modified Yamaha Catalina 250, and Robin`s cart, an integral part of the rig, is powered by a 50cc Yamaha engine. Fans everywhere will appreciate this detailed reproduction. 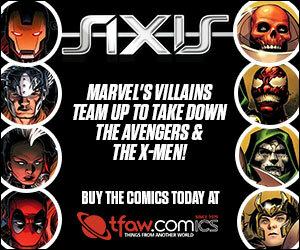 For the adult collector.